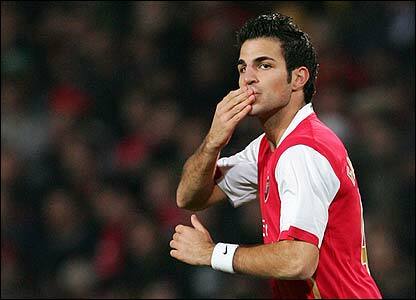 The constant rumours regarding the future of Arsenal captain Cesc Fabregas have continued this week with yet more talk of him going to Barcelona. You know the rest, boyhood club, lifelong supporter yadda yadda yadda. It is thought that the Catalan giants will make a bid for the central midfielder during the summer, just like they’ve been meant to have been doing for the past six years or so. I mean, it’s not like they have any better midfielders or anything like that. Like Xavi. Or Iniesta. Or Busquets. No. Anyway, our football gossip columnist has been slipped a bribe by the Spaniard’s agent to raise his stock ahead of his contract renewal. Sorry, I mean has “spoken to a source close to Barcelona” who say that they are “definitely really interested in him this time”. Fabregas is likely to be a direct replacement for any lightweight midfielders that Barcelona have, especially those with fibreglass bones and rubber-band ligaments who spent at least a quarter of a season out injured. The players agent has insisted that the players renewed desire to join Barcelona has nothing to do with playing in an Arsenal side that couldn’t win a prize at an “Everyone Wins a Prize” hook-a-duck stall at a summer fair.